The Sullivans: Happy One Month Birthday Baby T!!! Happy One Month Birthday Baby T!!! Happy one month birthday to our little Tyler! I can't believe one month has passed us by already! However, I can definitely say that we are very happy to have achieved such a small milestone! While it's been a fun and wonderful, it's also been scary at the same time. I don't think any amount of preparation can get you ready for the great world of parenthood! But now we feel like pro's when it comes to burping, feeding, pumping, soothing, rocking, and changing poopy diapers while trying not to get peed on. It's been so much fun getting to know our little man, and he changes more and more each day! 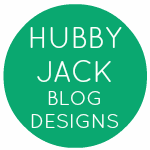 For those of you out there that are frequent readers of my blog, I apologize for being a slacker lately. I promise to keep you more up to date on what's been going on in our lives going forward. So far, we've had so many friends and relatives come to visit with many more still to come. I can't wait to keep you all in our adventures with Little Tyler!! !